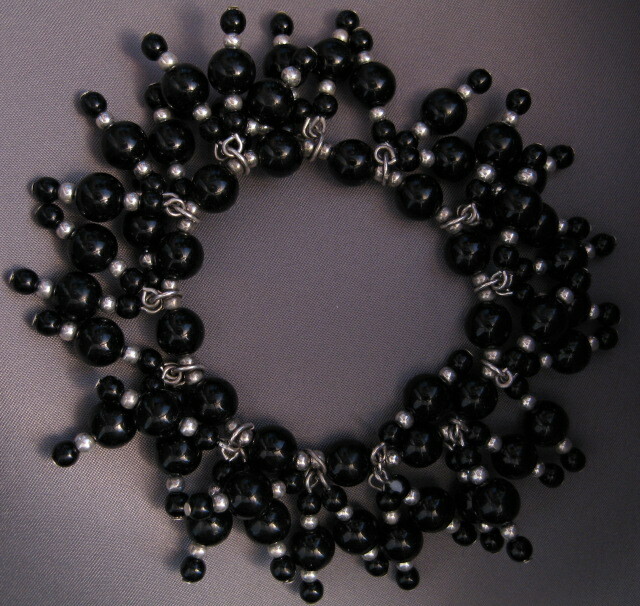 Black Beaded Stretch bracelet. 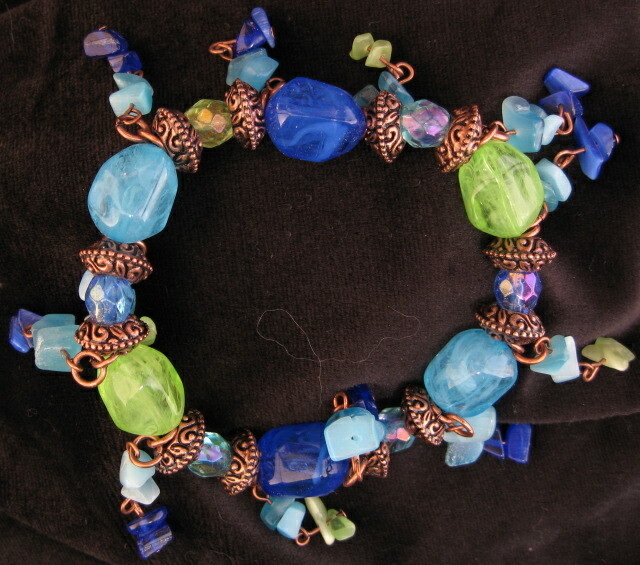 An EXPLOSION of beads! Magnetic clasp bracelet with antiqued silvertone beads and black "stone". Very elegant looking.